ESO Supernova Exhibition — When will the ELT be ready? When will the ELT be ready? First light for the Extremely Large Telescope (ELT) is foreseen for 2024. But many steps towards that goal have been successfully taken. Now the telescope is being constructed. Site selection: Site testing equipment at half a dozen potential ELT sites monitored sky transparency, air stability and humidity. In the end, Cerro Armazones was selected as the best possible site. 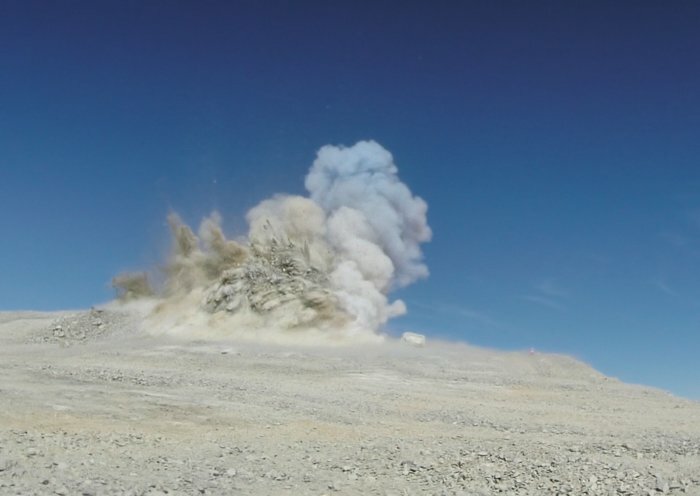 Breaking ground: 220 000 cubic metres of rock had to be blasted away to create the 300 x 150-metre platform for the ELT on the summit of Cerro Armazones. Already in the late 1990s, astronomers had dreamt up plans for the OverWhelmingly Large telescope (OWL), which would sport a 100-metre segmented mirror. For financial reasons, these ambitious plans had to be scaled down, leading to the current design of the ELT. 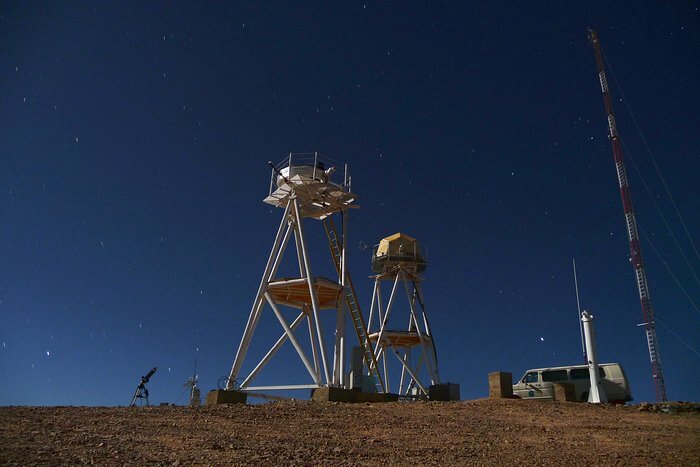 Cerro Armazones in northern Chile was selected as the new telescope’s location in 2010. Four years later, engineers blasted away the top of the mountain to create a flat platform for the ELT. Meanwhile, construction work has started, with the sinuous mountain road completed in 2015. In 2024, the ELT will make its first astronomical observations. Before and after: Two shots of Cerro Armazones, taken before and after the blasting that created the ELT platform. Bird’s eye view: The location of the new road to the summit of Cerro Armazones is shown in this aerial view. Cerro Paranal, home to ESO’s VLT, is on the left. Building a large telescope takes many years. And even before you can start building, a lot of other things are necessary. How old will you be when the ELT is ready?